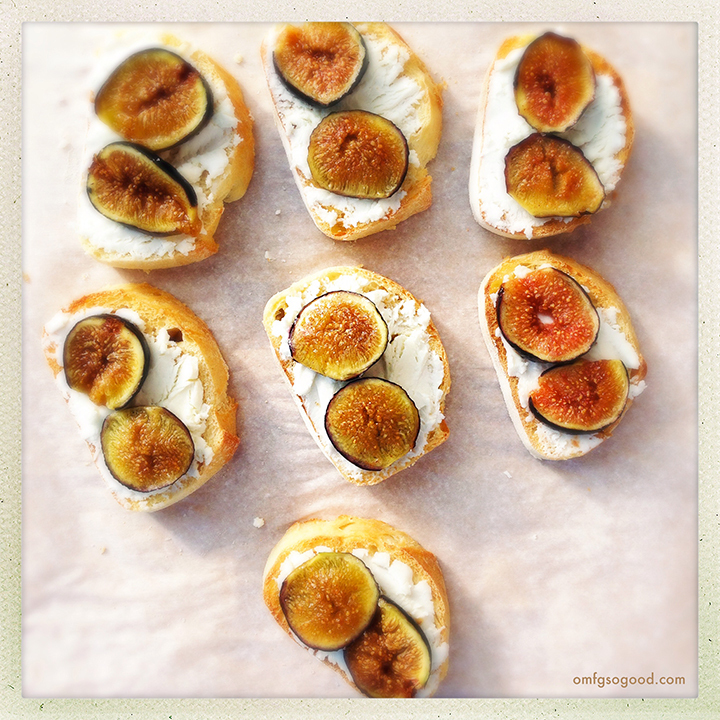 roasted fig and goat cheese crostini | omfg. so good. So, this morning we had a little party in my kitchen. And they showed up with a few friends. Creamy Goat Cheese and Crusty French Bread. Anyhoo, these crostini are really good. You should probably make a batch of them for your friends and family this holiday season. Preheat the oven to 325 degrees and line a sheet pan with parchment paper. Slice the baguette into 24 slices, arrange them on the sheet pan and toast them in the preheated oven for 5 – 7 minutes. Line another sheet pan with parchment paper and increase your oven temp to 400 degrees. 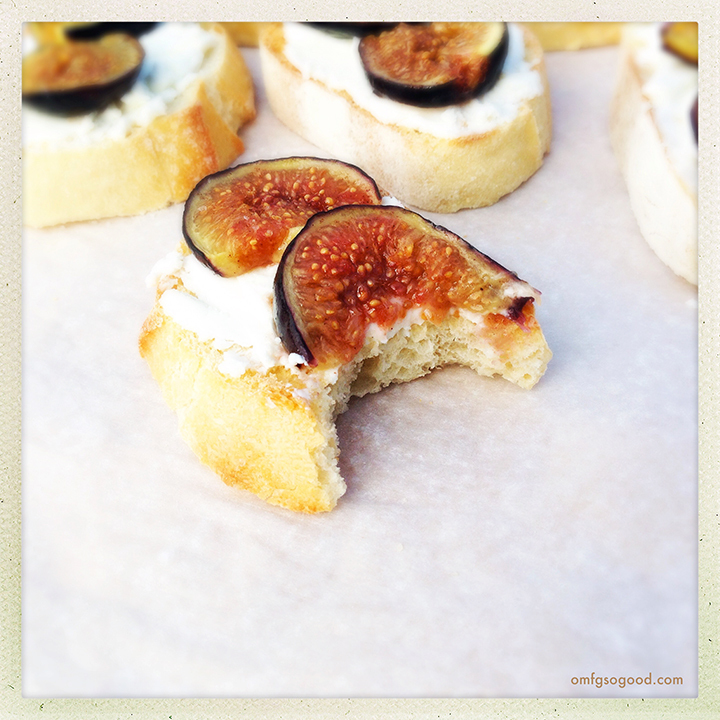 Cut the stems from the figs, then cut them lengthwise into 48 individual slices (2 slices for each crostini.) 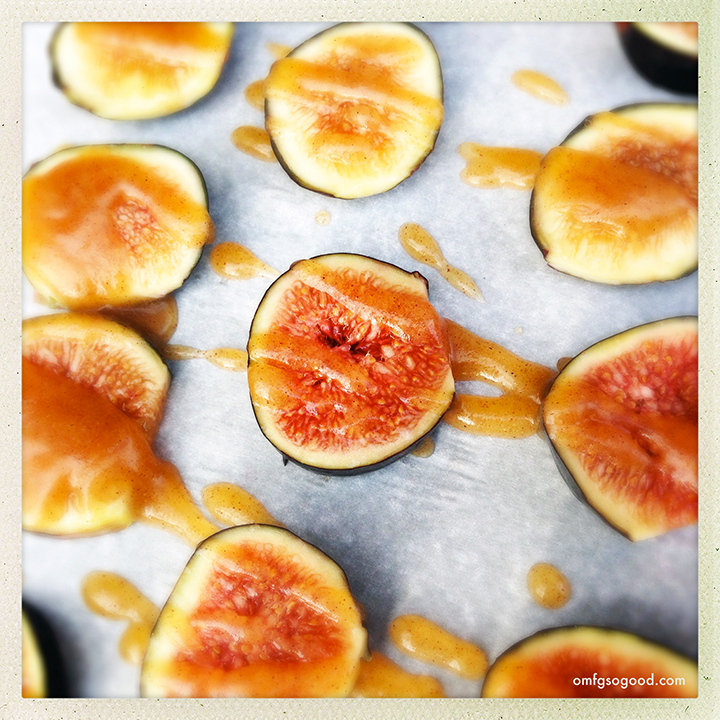 Arrange the sliced figs in a single layer on the parchment covered sheet pan and set aside. Roast them in the preheated oven for 10 – 15 minutes, or until they’re soft and slightly caramelized. Such great photos and presentation. Nicely done! Beautiful! I want to include this recipe (and a photo, if that’s alright!) with a link back to your blog in an upcoming ‘How to Host an Oscar’s Party’ post. It’s going to feature a bunch of yummy crostini recipes like this one as an easy way to feed your guests without a lot of work! Can you let me know if that’d be alright with you? Thanks for the great content! Sure thing, Brian! Thanks for the kind words. 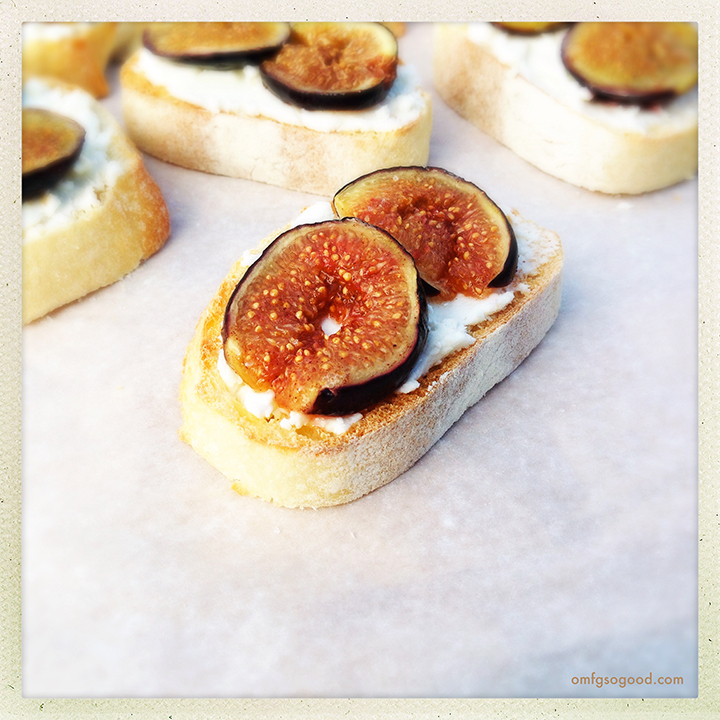 And these are seriously one of my favorite appetizers to make for parties. They’re the perfect combination of tangy, sweet and salty… and so easy! Thanks for the super speedy reply! Your blog is great. 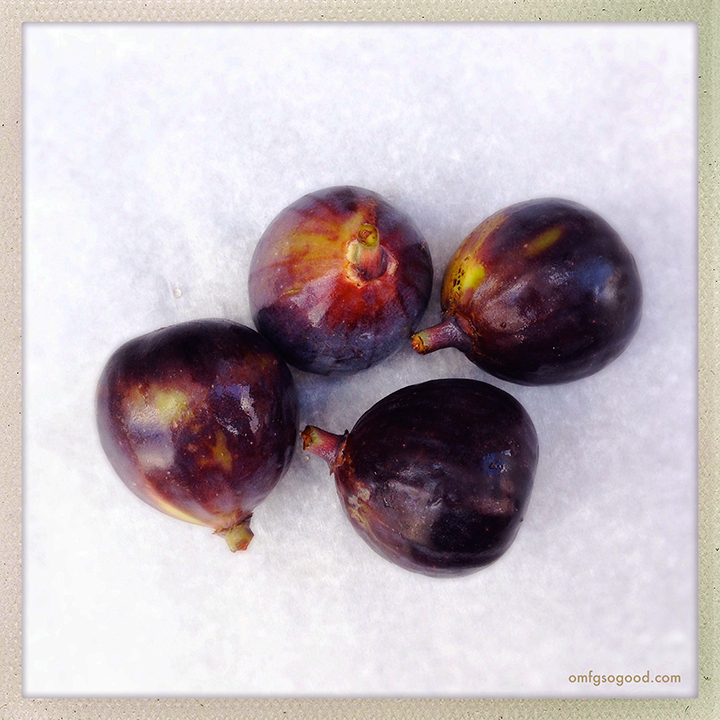 I’ll be back for more recipes and drool-worthy photos! I’m following you on Facebook/Twitter now too. Bravo!